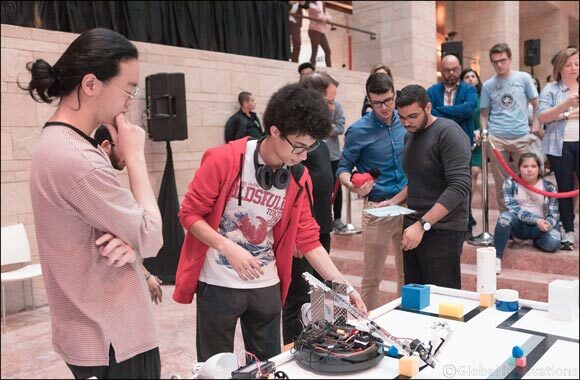 February 09, 2019 - DOHA, QATAR: A team from Qatar Academy won the overall title at Carnegie Mellon University in Qatar (CMU-Q)’s annual Botball competition for high school students. The competition, which was launched by CMU-Q in 2005, brought together 15 teams to program a robot through a complex game board. Botball participants receive their robot and their mission at a workshop eight weeks before the final event so they can learn to program the robot and plan a strategy for the final competition. Qatar Academy narrowly edged out the Lebanese School of Qatar to secure first place. English Modern School took third place for the overall competition.